Maritime Academy of Nigeria (MAN), Oron Admission List of Candidates Offered Admission into various Full-Time National Diploma Programmes for 2018/2019 Academic Session. This is to inform all candidates who applied for admission into the Maritime Academy of Nigeria (MAN), Oron, National Diploma programmes for 2018/2019 academic session that the admission list has been released. MAN Oron ND Full-Time admission list for 2018/2019 academic session has been released and uploaded online. 1. The Candidates whose names appear in this publication were successful at the Maritime Academy of Nigeria screening exercise held between Saturday 15th September 2018 and Friday 21st September 2018. 2. Successful Candidates are advised to login to the JAMB website www.jamb.org.ng, click on CAPS to check their admission status, click on accept/reject button to either accept or reject the offer. 3. 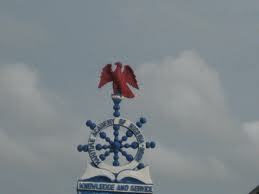 Candidates that accept the admission offer from JAMB should visit the Academy website (www.maritimeacademy.gov.ng/PostJamb), login with their JAMB Reg. Number and Password from 13th November 2018 to start the registration processes.